You don’t have to think too much before getting a new tattoo or a fresh new hair colour or going on a diet. It’s your body and your choice. You have all the right to treat it any way, without the stress of thinking what the world may feel. Dieting-It’s seriously never too late to start dieting if your body needs it. However if you are happy with how you look, then nobody can force you to start dieting. 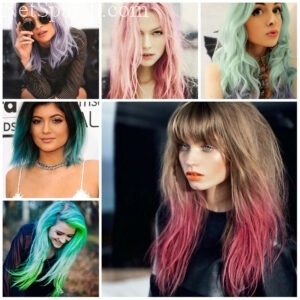 Hair color-Are you bored with your black locks, then get yourself a new funky hair color, why care of about the world. New hairdo-Pony tails are not only for girls, all you guys out there tie up your hair in style especially for the coming summers. Piercing-Piecing has been very common since the olden days, not only does it have some acupuncture benefits but looks trendy as well. Tattoo-Have you been thinking of getting yourself inked, then why wait anymore, some people might call you hype, but does it really matter. Keeping a beard-Clean shave and that chikana look is out. Style your beard and add some masculine touch to yourself. Believe me girls love the rugged look. Jewelry-Put that gold jewelry in the locker and save them for some marriage functions, meanwhile get yourself some junk jewelry, not only does it look great but is easy on the pocket as well. Makeover-Make use of the long weekend and pamper yourself, get yourself a makeover. Go to the spa or get yourself some relaxing massage. Get some tan-Bless the shinning sun, it’s the most appropriate time for getting some tan, as the sun now a day is not so harsh. I am sure you would feel very refreshed and relaxed after experimenting, experiments may go wrong, but it’s always better to try ,than be without.